On my way to Honduras to visit our Feeding Centers and meet with partners Marvin and Cristina. Over the last 12 years children have come through our Feeding Centers being fed both physically and spiritually. Currently we feed approx. 750 children a day, 5 days a week at 4 different Centers. This year has found us with a lack of funding challenging us to keep the Centers open. Praying for God’s provision and wisdom. Looking to get involved in our Honduras ministry? Please click the Contact button below for someone to get in contact with you. 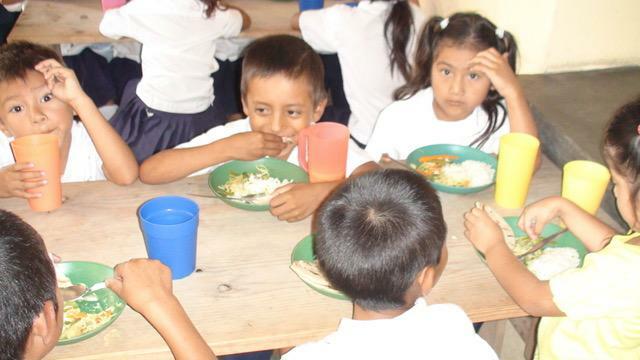 You can also help support our Honduras ministries, like our Feeding Centers, by donating. Please select one of the donation options below and thank you for your support! Posted on May 16, 2018, in Hands Giving Hope. Bookmark the permalink. Leave a comment.